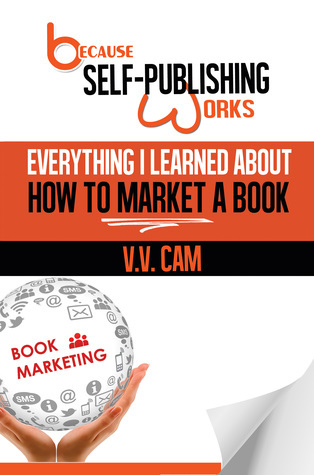 Enter to win one paperback of Because Self-Publishing Works: Everything I Learned About How to Publish a Book or Because Self-Publishing Works: Everything I Learned About How to Market a Book, from now until June 30, 2017. Toronto, April 27, 2017 – The wait is over! 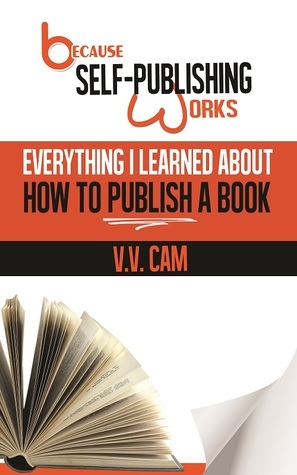 V. V. Cam just released her first book, Everything I Learned About How to Publish a Book from the Because Self-Publishing Works series. It is available at an introductory price. Grab your copy from the Amazon store near you today or share the news. Enter to win one paperback of Because Self-Publishing Works: Everything I Learned About How to Publish a Book, from now until April 27, 2017. Giveaway ends April 27, 2017. Science fiction and fantasy novel Elthea’s Realm is a land with islands held high above the ocean by a slender pillar and stars that float down from the heavens to bestow an amazing gift. It’s a place where five friends involuntarily find themselves after they were attacked by a destructive computer virus turned corporeal. The five companions are soon befriended by the Astari, a race of people who were once computer software programs on Earth. The deadly virus, called Bots, continue to pursue the five friends because of their participation in a college course called The Utopia Project. And the Bots will stop at nothing to kill or capture them, even as the virus begins to wage war on Earth’s computer infrastructure. The members of The Utopia Project and their Astari protectors band together and hatch a plan to stop the Bots before being killed by them first, and before the Earth is left in ruins. What ensues is a harrowing tale of magic and survival, set against the backdrop of what makes us human. Ultimately, it’s a story of friendship and brotherhood, without which none would survive.